The Unitary Fund – its name taken from the physics concept of unitarity – is offering US$2000 grants to projects developing open source quantum software for near term, hybrid quantum-classical programming. Any project that “will benefit humanity that leverages near-term quantum computing” qualifies to apply for the fund. The Unitary Fund is backed by personal donations from founder of security firm Lookout, John Hering, and developer of quantum integrated circuits Rigetti Computing product manager Nima Alidoust. Program organiser Will Zeng, head of quantum cloud services at Rigetti, told Computerworld the aim is to “fill in some of the gaps in institutional funding”. 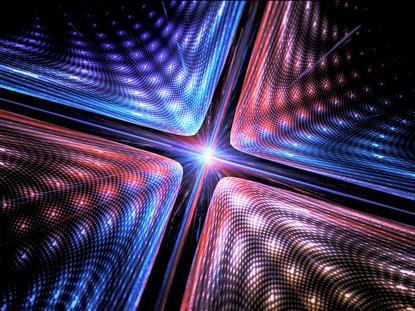 “Quantum computing is growing as a field. It used to be pure research and now the new fields of quantum engineering and especially quantum software engineering are just now getting founded. Things like debuggers, compilers, and educational tools don't exactly fit the academic model. Thus focus is only now shifting towards these problems and I'd like to help that transition,” he said. There is currently backing for six projects. Half the money will be given to successful applicants upfront, the rest coming after the project provides a progress update. The no-strings approach – “The money is a gift. It's not an equity investment or loan, and I won't own any of your intellectual property. My only request is that you think about how to pay it forward to others,” Zeng said – is designed to lower the barrier of entry and encourage more people to work on quantum programming. “I'm looking for smart people with interesting ideas that could be useful to the world. I'll pay extra attention to projects that seem like they won't get funded another way,” Zeng said. “The fund is focused on open source quantum software as this is an area where big challenges and lots of experimentation are needed and also an area that can be more inclusive and accessible. Small teams can make a big difference,” he added. Quantum software is a fast-growing field with a number of open source efforts including Rigetti’s Forest project, QISKit, OpenFermion, ProjectQ, Strawberry Fields and XaCC. In 2016, IBM created its QASM programming language for direct construction of quantum computing routines. Last year it launched a lightweight quantum API and SDK to allow connection to the backend of its Quantum Experience, execution of the QASM code, and return of the results, from Python scripts. In December last year Microsoft launched a preview of its Quantum Development Kit made up of: a quantum programming language Q#, local and Azure hosted quantum simulators and a GitHub library of quantum focused code. Researchers at University of Technology Sydney (UTS) in March launched a quantum programming environment – Q∣SI⟩ platform – to help developers get to grips with quantum computing’s quirks and complexity. The platform includes a compiler and a chain of tools to simulate quantum computations, optimise circuits and verify programs.